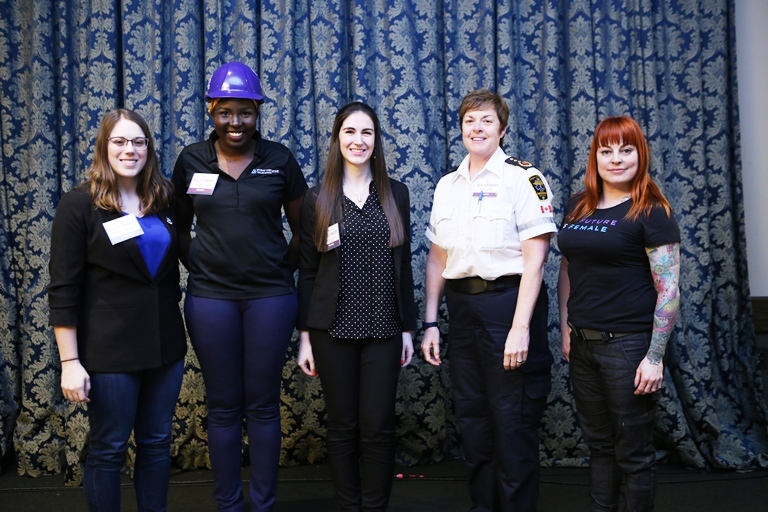 KITCHENER, Ontario – On April 2, 2019, Build a Dream transformed Bingemans Conference Centre into a career pathway exhibition. One of the evening’s highlights was having keynote speaker Jamie McMillan interact with the audience, answer questions, and provide an honest account of where her life and career took her. 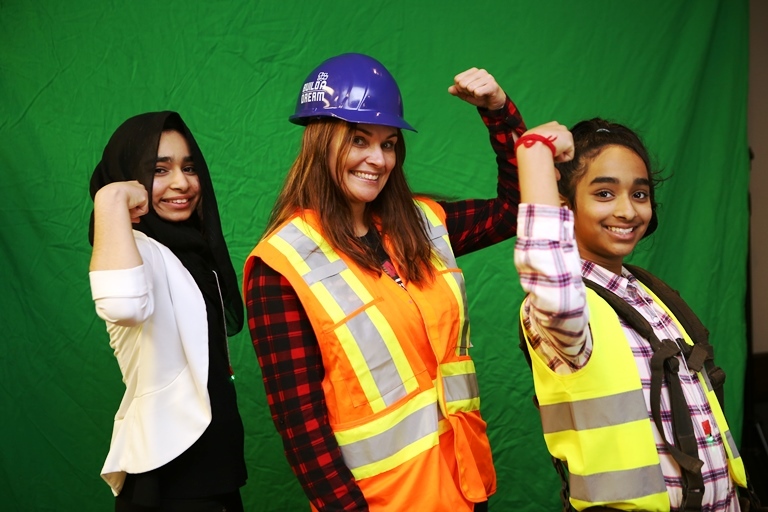 A journeyman ironworker, boilermaker, and owner of Kickass Careers, McMillan speaks to students on a regular basis and shared that knowing about other career options like skilled trades would have changed her life at a much younger age. Following the keynote, a panel discussed highlights from their careers and shared advice with the audience. Attendees were then invited to try hands-on activities, speak with professionals from a variety of careers that they may not have previously considered, and interact with their school board to discuss all pathways available to them whether it be entrepreneurship, direct to workforce, apprenticeship, college, or university. The evening was possible through the partnership of Build a Dream and the Upper Grand District School Board.